Patristics (or patrology, from the Greek πατηρ meaning father and λογος meaning word) is the study of the writings of early Christian writers, commonly referred to as the Church Fathers. It is considered a branch of theology. The genre is generally considered to run from the end of New Testament times (around AD 100) until around the eighth century. 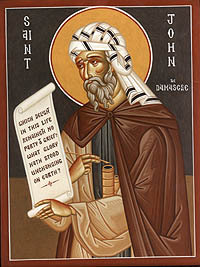 The writings of the Church Fathers (and the ecclesiastical writers in general) are generally divided into the Ante-Nicene, those who lived and wrote before the Council of Nicea (AD 325), and the Nicene and Post-Nicene Fathers, those who lived and wrote after the First Ecumenical Council. In addition, the division of the fathers into Greek and Latin writers is also common, but this is typically a Western phenomenon on the part of Western patrologists. Examples of Greek Fathers are Justin Martyr and Cyril of Alexandria. Among the Latin Fathers are Tertullian and Augustine of Hippo. The writings of the Church Fathers are generally divided into the Ante-Nicene, those who lived and wrote before the Council of Nicea (AD 325), and the Nicene and Post-Nicene Fathers, those who lived and wrote after the First Ecumenical Council, up until the end of Byzantine period. More specifically, apart from the content of teaching of the Fathers, patrology examines also the genuineness of their work, the influences they accepted, as well as the sources that they used. A 38-volume set containing most of the major works of the first eight centuries of Christian patristic writings. This page was last edited on June 26, 2010, at 10:05. This page has been accessed 22,645 times.